Summer is upon us. Our golf outing is coming up and we’ve completed our section meetings for 2016-2017. In past years we’ve relied on board members to provide ideas for technical presentations. And now, for something completely different. The Board of Directors & I would invite you to give us some input on topics for Section Meetings & Tabletop Training Sessions for the coming year. If you know someone, or have met someone, that can provide a 30-45 minutes non-commercial presentation on an interesting technical topic, then we’d like to hear from you. 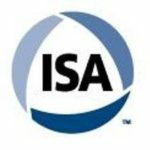 If you are and ISA Will-DuPage member you should had received an email with this request. You can also go to our website (http://isawilldupage.org/call-for-topics-2017-2018/) and get to the same spot.